Scott Cunningham enters the realm of the modern day Wiccan Faith. Though more than a trace remains of what individuals such as Gardner had done in their lifetime, the political force in Wicca has subsided. Though judgment is still present all too often, individuals are in theory free to worship as they choose in most locations, whether adhering to strict guidelines or maximizing their unique creativity. For the Wiccan, this means that they are able to create their own path to Spirituality in a manner which best suits their individual preferences. This is exactly what Scott Cunningham did. 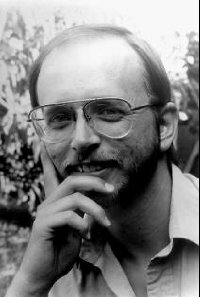 Though it has been nearly a decade since Scott Cunningham has passed on from this world, he is considered a pioneer of modern Wicca. He wrote more than twenty books on the subject, delving deep into different categories of theology. First and foremost, Cunningham was an expert on Magickal herbs. As they would call it in medieval times, he was a true Hedge Witch. There is an account of a young lady studying to be a journalist who had requested an interview with Mr. Cunningham. She had intended to ask him humdrum questions about how Wiccans could enhance their lobbying with the American Government in order to exert greater power (even journalists for a grade school newspaper are looking for a political thriller). Instead, Cunningham took her for a walk through the back woods behind his residence. He answered her questions all-the-while so that her purpose not be ignored. But his focus was on the plethora of trees, roots, fungus, plants, and rocks that they encountered along this long walk. Cunningham could cite the scientific name for everything he saw. He could give a Magickal use for many of them. He even related a few plants to major events throughout history, or their usage in laboratories today. This was his true passion – and he excelled at it. However, Cunningham’s focus was not narrowly construed. He did write and study about Magickal herbs primarily. But his knowledge ran much deeper. Cunningham studied and wrote about the interrelation among the elements on our planet. Within his Coven, the Serpent Family Stone, he specialized in Divination and the charging of Magickal objects. He has written several books upon the subject. Additionally, he has created numerous chants, many of which are deemed to be some of the most effective by Wiccans and other practitioners alike. He has written about fortune-telling, and even traced it and other occult ideas to their origins in ancient times. Cunningham even delved into an area in which few have gone before. Cunningham ventured to Hawaii multiple times in search of an ancient faith that very few individuals have explored before. This is not tourist Hawaii, or residential Hawaii, but rather a rare portion of the islands where indigenous peoples have maintained their faith despite all of the political turbulence and external influence that has been imposed upon them over the years. Cunningham compiled an ethnographic account of these people, and published this work. Essentially, though some of these ideas had been present for centuries, Cunningham introduced them to others with the intentions that they expand their line of thinking and become more at one with the Universe. There is a great deal more to say about Cunningham’s works, but to sum up; his writings have had a great impact on spreading Spiritual knowledge both for the Wiccan and for anybody else who is interested in the interworking of their natural surroundings. Perhaps a tantamount contribution, though, was indeed in the political arena. While the Wiccan Faith’s expansion had seemed threatening to some after Gardner, Cunningham had advocated that Wicca become an open faith rather than one which excluded some. He said that you only need a pure heart and a desire to learn in order to enter. Scott Cunningham was the first resource I was lead to after the Goddess called me back when I was just 11 years old. Being on my Path alone and in a place with no support from family or friends, his writings and wise teaching were like a beacon in the wilderness. I owe much of my foundational understanding of my Craft to Scott and still use his books for references to this day. 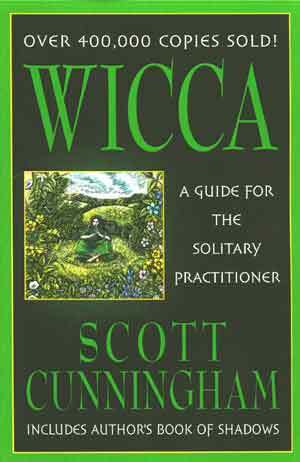 Wicca, a guide for the solitary practitioner was the first book I read on the subject. I found his writings to closely align with my beliefs. Before that, I thought you absolutely HAD to belong to a coven and that conflicted with my solitary nature. Some need the company of others. I only need my cat and the elements of nature.